“The Wave” the next paradise for River Surfers!! 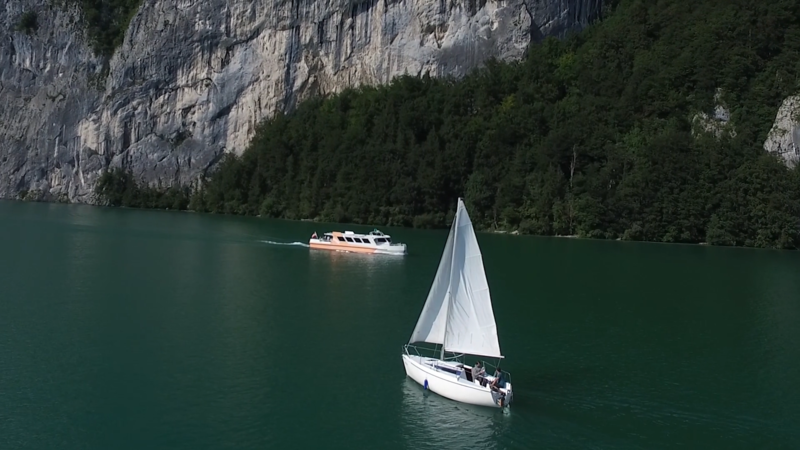 Salzkammergut is an Austrian region known worldwide for the beauty of its lakes. In 1997, the cultural landscape of Hallstatt-Dachstein / Salzkammergut was declared a World Heritage Site by Unesco. The area is formed by alpine lakes, valleys and picturesque hills and mountains of 3,000 meters inside the Austrian Alps, forming a spectacular landscape. Salzkammergut is the center of the region of the Lake District of Upper Austria. The high mountains and their peaks, with the green valleys, the deer population and the turquoise lakes form a landscape with beautiful views. The serene waters promise many occasions to sail, swim, fish or just sit and enjoy the views from the shore in much quieter activities, if the occasion or children allow it. There are many things to say and to teach in this area of Austria, although the best will always be to live it for yourself. So, if you are going to travel as a family to Salzkammergut, take note and enjoy. And soon, the Riversurfing will be one of its main attractions. Riversurfing is the same as surfing, just by the river. If enough water flows over a correspondingly large height difference, then a so-called standing wave arises. The current is trying to drive the surfer out of this wave, but gravity pulls the surfer to the bottom of the wave. If the forces are in balance, the surfer can theoretically surf the wave forever. A perfect barreling wave is still lacking in river surfing. Without this shape river surfing always has a certain feel that is much different than ocean surfing. Only on these perfect thick glassy tubing river waves will you find it hard to feel much difference between this wave and a perfect tubing ocean wave. It is still brand new to the world in a certain sense. The broader goal of the surfing industry is to create new surfers and the only way to do that is to create waves that are rippable. For years we wish, as well as many other Riversurfer, an artificial river wave in their proximity and soon this dream could actually come true. THE WAVE is the dream of an ambitious group of river surfers come true. Being able to surf in the middle of the mountains on a world class river wave. 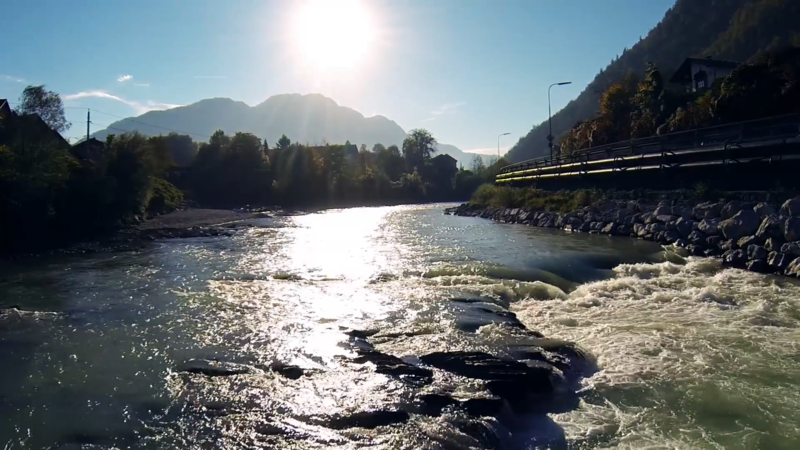 In the last 2.5 years Wave designers experts from Austria, Germany and the US, have teamed up with the goal to create one of the best river waves in Europe, by the construction of an artificial wave. The team around Max Neuböck has been working hard on this project and now made a huge step forward by testing their 1:8 scale river wave prototype, mimicking the conditions of the actual project site. The full-sized river wave will be 10m wide and up to 1,5 meters high. During these two and a half years, they have developed the plans and soon this will be a dream come true. The project site is located at the river Traun, in the beautiful Salzkammergut region in Austria. The location at the Miesenbachmühle in Ebensee was chosen due to the stable annual discharge levels and the natural drop, which makes this spot the ideal location for a river wave that can be surfed year round. The power and speed of the wave is key but what truly makes a stationary wave great is the shape. Everyone has been trying to make the perfect stationary wave in rivers or wave pools. The truth is that the only way to create waves that big, perfect and powerful is to make the perfect wave canal. This new approach makes it possible to scale waves easily from 3ft to several ft in height. From 3ft tall with a soft not very steep wave face to a 12ft tall freight train grinding extremely powerful perfectly round barreling wave. You cannot miss The Wave..!! "The Wave" the next paradise for River Surfers!! THE WAVE is the dream of an ambitious group of river surfers come true. 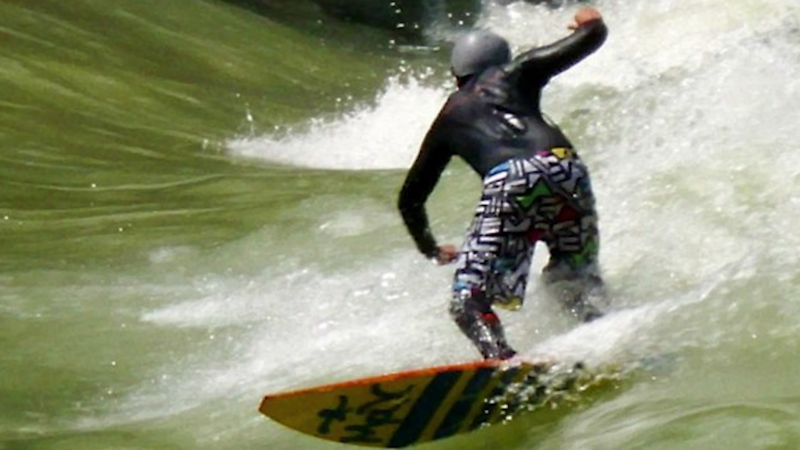 Being able to surf in the middle of the mountains on a world class river wave.